Many interesting heads, hair pieces and helmets have been created for the LEGO Star Wars theme since 1999. LEGO has kindly provided a selection of images which demonstrate how these pieces are developed for minifigures, in celebration of the theme's twentieth anniversary. 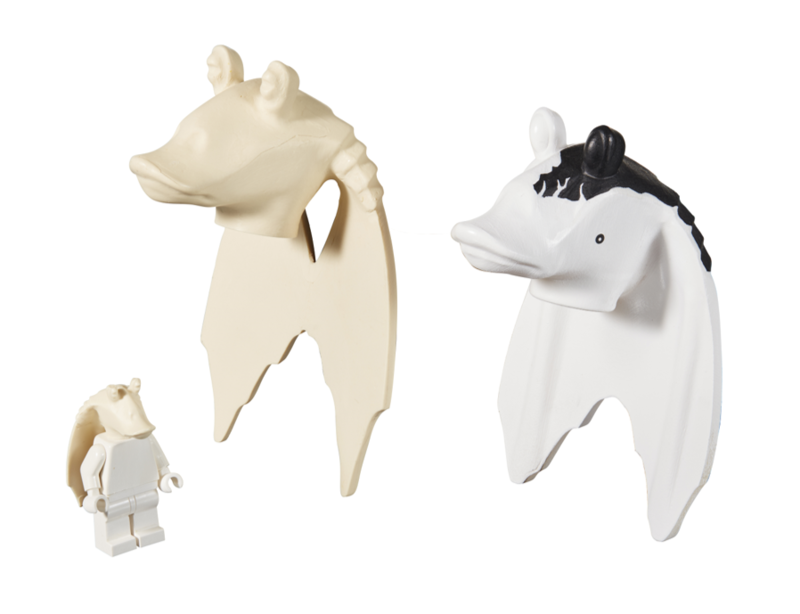 Which minifigure element designed specifically for the LEGO Star Wars range is your favourite? Let us know in the comments. Wow! A lot of these things actually look like several-centuries-old Egyptian clay models that are in museums! Pretty cool! I bet things like these are REALLY valuable if one ever finds them! And my favorite mold is probably the tall, hairy chewbacca. He looks REALLY creepy! Totally lego as we know it! Not everything Is on here though, I really like the old Darth Vader helmet. that's Really Lego! Love the Clone trooper helmets! 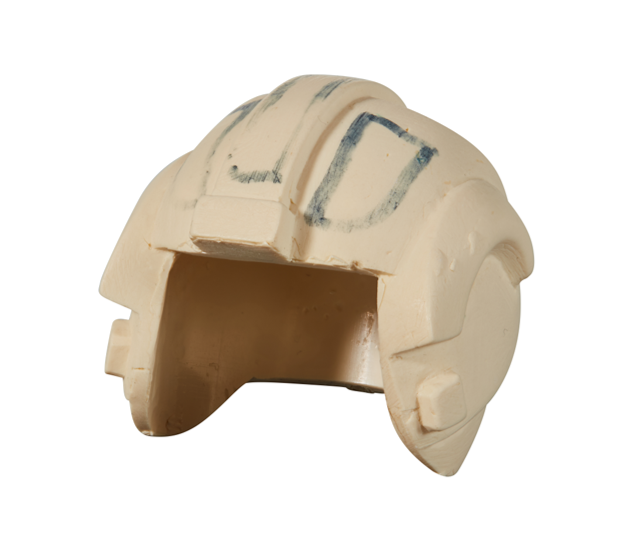 Any phase and any color, but especially the 501st trooper helmets! Those are the best . clone troopers ever!!! 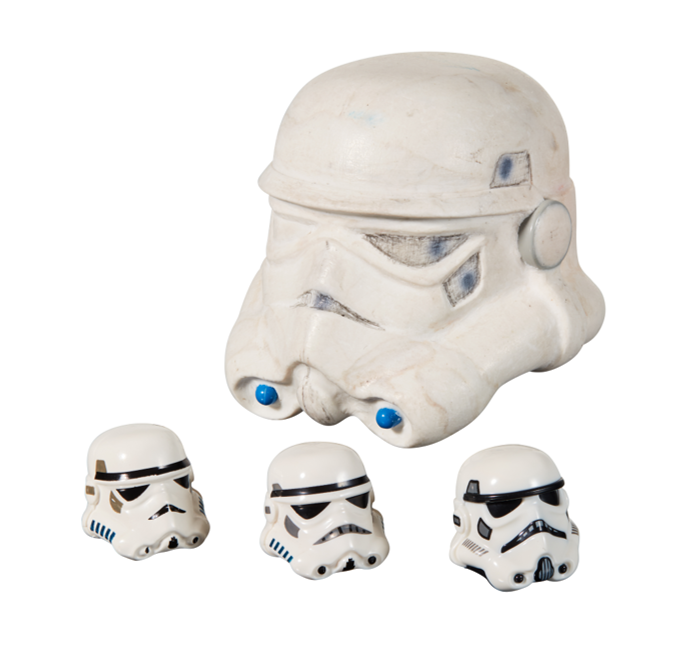 I absolutely hate the new Stormtrooper helmet mould, especially seeing it next to the previous one that had been around for years. 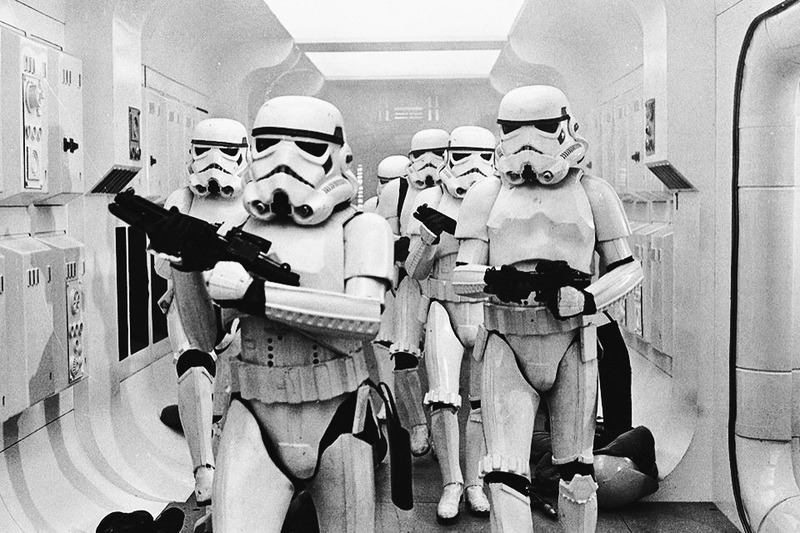 Someone in another thread made the point that this new stormtrooper helmet looks more like the Stormtroopers that appear in Family Guy than it does the ones from the O.T. Lego really tried to fix something that wasn't broken in this case. Chewie had furry legs! And toes! Nice. It is missing the stud on top as well as the four bars on the lower side. OMG, is that a chimpanzee having a stroke! They definitely should've gone with the one on the left for Chewbacca :) It would have a brought a smile, and snicker, to millions of fans around the world! I really wish LEGO would still make tall legs, so many figs would benefit from them. 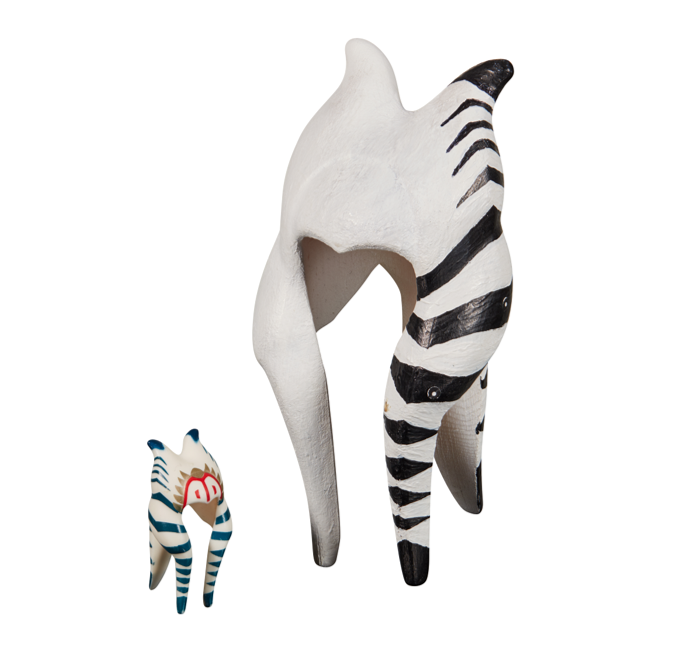 The most interesting pieces being sebulba and the storm trooper helmets. I still think Chewbaca could be made way better. I never liked molded heads -bodies because they cant rotate heads. These look awesome, as a Mechanical Engineer student these are greatness in person. I love the 501st helmet, old Darth Vader helmet and from these the Stormtrooper helmets (old ones also, new one is trying to grow on me). Edit: Sebulba and Shaak Too plus the Rebel scum helmet and Jar Jar look cool, but then there is the loveable fuzzball Chewbacca. My favorite is the Storm Trooper helmet. Lego Minifigures are squat, characatures of people, it's amazing how Lego has made these stout figures evoke the characters from the films, books and video games through the design of helmets, hair pieces and graphic design. The left hand Chewbacca has a whiff of the Star Wars Holiday Special about it. It be the work of the devil and I be afeared of it! That first Chewie face... yikes! The design for Chewbacca that they used for all those years will always be the definitive Chewbacca to me. Even more so in Old Brown. Nothing else is Chewbacca if it's not the 2000 design in Old Brown. I'm disappointed they "updated" the design and printing. The same goes for Vader and the Stormtrooper helmets. The designs were not perfectly accurate, but the simpler printing on all the older figures and the stylized sculpts to make them proportional to a minifigure is what gives them their charm in my opinion. The Death Star Trooper Helmet, closely followed by the Imperial Gunner Helmet are real favourites of mine, probably because the source material for both are such striking designs. 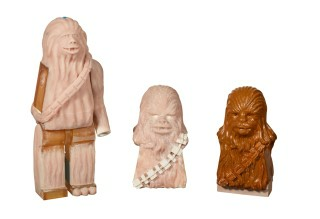 That first Chewbacca mold is frightening! At least if Lego ever does a Planet of the Apes theme, they'll have a mold ready. 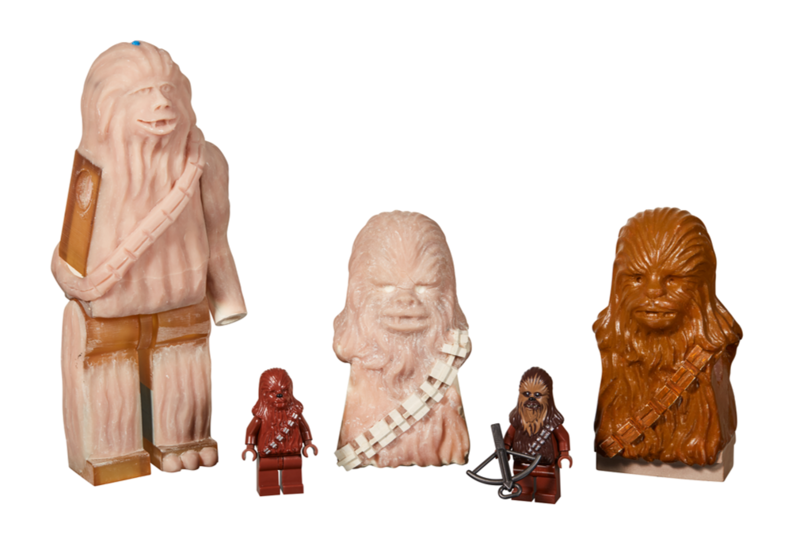 That original Chewbacca is terrifying!